Dr Roozbeh D Vaziri graduated from Umea University in Sweden, in 1997. It is amongst the most renowned universities in Europe. After working for three years in a private practice in Stockholm and also as a teaching assistant for the undergraduate studentsin Stockholm university, he relocated to London in 2001 where he worked in a dental practice in East Dulwich for three years. 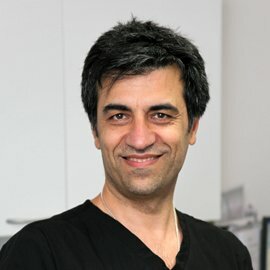 Dr Vaziri, together with a colleague, started their own dental surgery in 2004 and gained good reputation for excellent work in smile makeover, design and aesthetic dentistry.. The approach of Dr Vizari involves devoting sufficient time and care for every patient to listen to their needs carefully, look after them and make them feel safe. The patients have highly appreciated his kind nature and friendly approach along with quality treatment and service. After attending the university of Malmo in Sweden and the well-known medical university in Bern, Switzerland, Dr Vaziri has concentrated on smile design make over and implant. Dr Vaziri loves to spend quality time with his wife and two children, discovering the beautiful nature and enjoy swimming, during his spare time. 2015 : Commenced a one-year course for comprehensive Restorative and Aesthetic Dentistry In Harley Street run by Dr Basil Mizrahi Six-month course in Managing periodontal Disease - Eastman Hospital. Dr Nekoui has completed his graduation degree in dentistry from the University of UMEA, Sweden, in 1998. He has worked as an associate in a private surgery in Sweden for two years before moving to the UK and working as an associate in London. 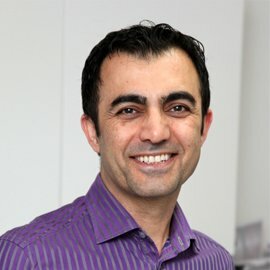 Having completed several postgraduate courses in Cosmetic Dentistry and years of experience, Dr Nekoui has been the principal dentist at Confidental since it had been launched in 2004. Dr Nekoui has specialisation in aesthetic and preventative dentistry. He is highly dedicated in providing a high qualityservice with his knowledge and experience, to change patients’ life one smile at a time. His attentive and friendly nature will make the nervous patients feel comfortable and relaxed when undergoing treatment from him. Dr Nekoui’s hobbies are – playing sports, eating out, socializing and going to the cinema. 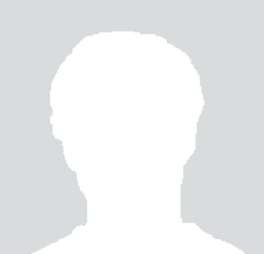 Korosh had been qualified as a Doctor of Dental surgery in 2002. He attained his pastgrad diploma in dental clinical science in 2005 from Queen Mary University in London. In 2011, he had achieved the membership of Royal College of Surgeons of Edinburgh (MFDS). In 2016, he completed the Membership of Faculty of General Dental Practioners (MFGDP) and Licentiate Of Dental Surgery in Royal College of Surgeons of England( LDS) from the Royal college. He has recently completed a postgrad award in aesthetic orthodontics from the University of London. Korosh has attained more than 10 years of experience in different systems of Orthodontics. Korosh has been treating patients of all age group from 7 years. He is a trained provider of different aesthetic braces such as Self ligating fix braces (DAMON, In-Ovation C, EMPOWER), Lingual braces( WIN, ALIAS, In-Ovation L) and Removable aligners (INVISALIGN, TRANS-Aligner). Korosh had done orthodontic treatment for almost 3 years and experienced it at first hand. His patients can contact him directly during the treatment in case of emergency. 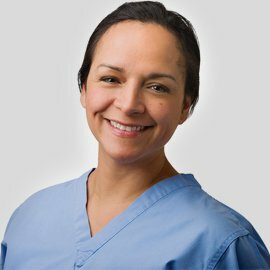 Yulli has attained 17 years of dental experience and held different roles within the dental team. She started as a Dental Nurse in 1997 and has attained qualifications in dental nursing, dental radiography, conscious sedation and oral health education. She is now a qualified Dental Hygienist and Therapist from the King's College London Dental Institute. Her training enables her to perform gum treatment and preventative treatment for the adults, place fillings in adults and undergo a various dental treatments in children. According to her, clear, effective and empathic communication is the right way to guide patients inplaying an active role in their oral health and dental treatment. Yulli volunteers for causes like Dental Project Peru and Crisis UK. She is a registered member of the the British Society of Dental Hygiene and Therapy, General Dental Council, the British Society of Periodontology (BSP), the British Association of Dental Therapists and the Society for the Advancement of Anesthesia in Dentistry (SAAD).